This was a fun little project – and it gave me an idea for a future one. Sometimes, I find that the more complex undertakings, which require more planning, can get to the point that they “take me over” somewhat. At that point, for me, some of the fun starts getting squeezed out and that, of course, absolutely cannot be allowed to happen. This is the time when simple and fun projects save the day. 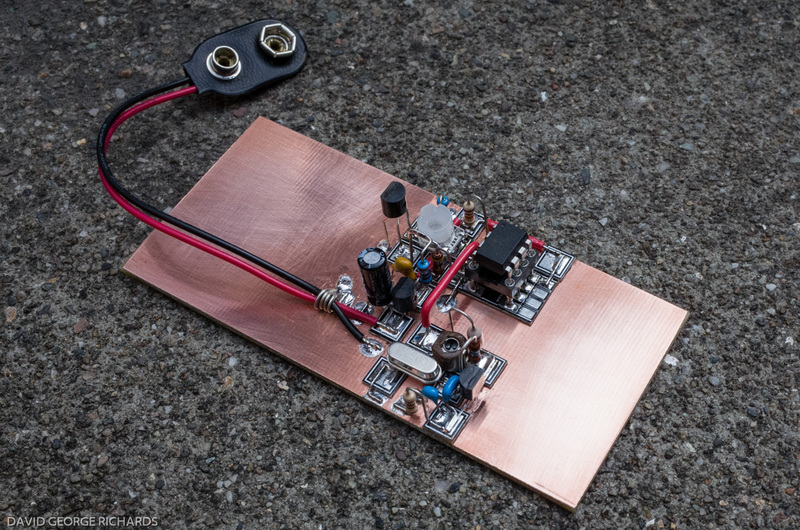 QRPp beacons have been a “thing” of mine for a while now, ever since I put the Sproutie SPT HiFER Beacon on the air, sending it’s 12 wpm SPT ID out continuously on 13558KHz, with a mighty 4.6mW to a much shortened loaded dipole. That signal was spotted by a few people, including one spot 900 miles away. SPT is not on the air now, but it’s sitting here in the shack, “just in case”. It was a legal, though unlicensed, beacon, courtesy of the FCC Part 15 regulations. The idea that a signal which is so miniscule that it doesn’t even require a license to be radiated, can be spotted so far away, is quite wonderful to me. Others have had their HiFER beacons spotted from one coast to another – and that’s with regular Morse code speeds. 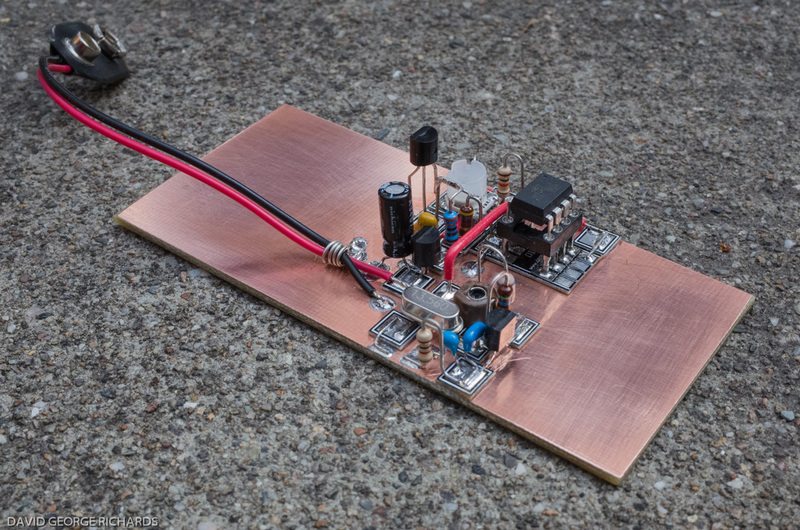 Imagine what you could do with QRSS on that band – which some experimenters do. After assembling a QRP Labs U3S for my ham friend, my mind turned back to some of my personal interests, and mental stash of “things to be built”. In the world of experimental HF beacons, as well as the legal HiFERs, there are also a good number of signals dotted throughout the HF spectrum that are not licensed (i.e. pirate beacons). I remember, shortly after moving from Los Angeles to San Francisco, I was living in a ground-floor apartment just 3 blocks from the Pacific Ocean. It was wonderful falling asleep at night to the sound of fog horns. Just as evocative, and exciting, was hearing, for the first time, one of these low-powered pirate beacons on my FT817 hooked up to a Buddipole inside my apartment. It was one of a cluster of beacons around 4096KHz, and situated in one of the southern deserts – Mojave, I believe. None of the beacons in that cluster were putting out more than around a watt, and they were out in the desert, sending their brave little signals across hundreds of miles to my receiver in the SF Bay Area. Magical! These beacons have all sorts of different sounds, varying from chirping, bleeping and whooping, to actual Morse ID’s. A few have temperature sensors, and send the current temperature. I think one even has a windspeed indicator. It may not necessarily be particularly useful information, but it adds a bit of interest to the predictability of a simple ID sent over and over again. 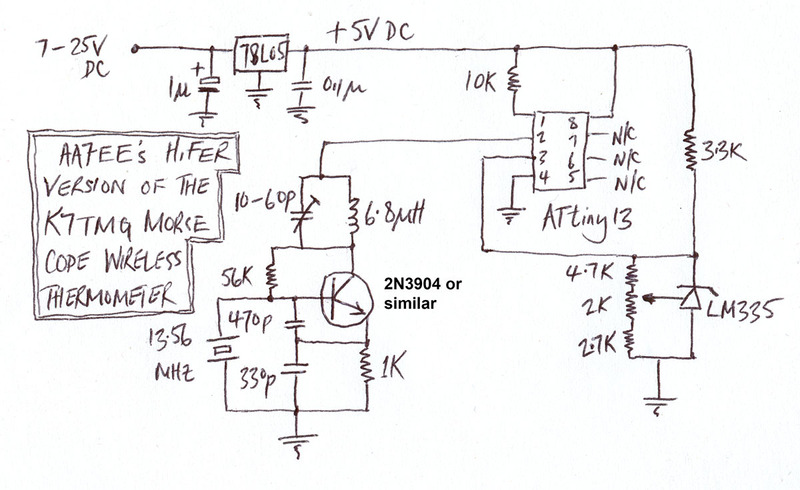 It’s a simple one-transistor Colpitts oscillator with the positive supply line keyed by an ATTiny13 micro-controller. The genius (as with so many things these days) is in the code that Sholto wrote. It converts the analog voltage from an LM335 temperature sensor to Morse code and announces it, about once a minute, in both Centigrade and Fahrenheit. 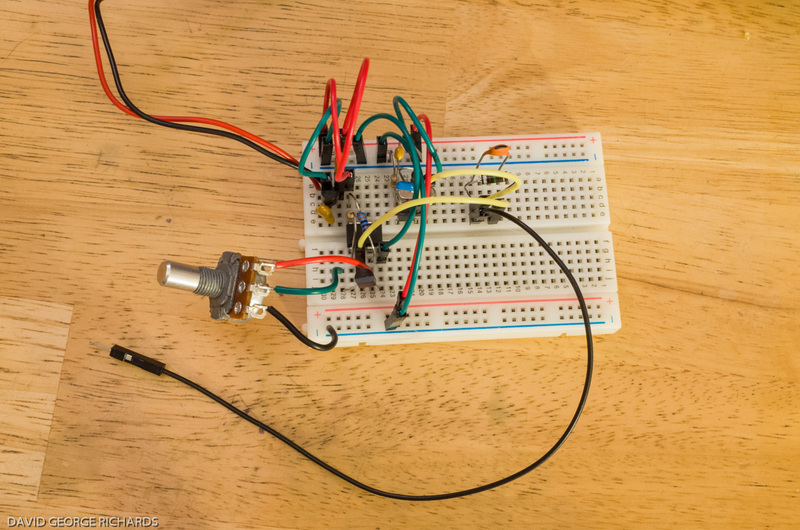 When the article was first published, he was offering pre-programmed ATTiny13’s for $5. He has since discontinued that offer but instead, has made both the source code and a hex file available on his site. The links are in the article above. I had trouble compiling his source code which, I’m fairly sure, was due to user error at my end, so I simply burned the hex file to an ATTiny 13V-10PU using my Etherkit Etheprog ISP and KC9ON Programming Adpater from Third Planet Solar. Any similar AVR in-system programmer would work fine, such as the Tiny AVR Programmer from Sparkfun, or you could use your Arduino to program it. I’ll leave it to you to figure that out. There’s plenty of good info out there in internet-land. Before I start raving about this little circuit, I want to show you my version, which is identical to Sholto’s, except with the addition of two resistors at each end of the trimpot to make calibration of the thermometer a little easier, and a different value of the molded choke in the oscillator collector circuit (his was operating at 4MHz). I used a different value of trimpot too. I did try to contact him, but didn’t hear back, so I hope he won’t mind me showing my slightly altered version of the schematic here. (Edit – I have since heard from him and am still crossing my fingers that he won’t mind my going ahead and doing this). One thing that I particularly like about this circuit is that the oscillator is keyed, meaning that when it’s not actually sending, it’s not drawing current – or so I thought. It also means that when you’re close to the transmitter, there is no backwave to hear. On keydown, the oscillator only draws about 3 mA. Seeing that it only sends the temperature once a minute, I initially thought this meant that the average current draw of the whole circuit (considering that the current consumption of the ATtiny13 is well under 1mA) would be something around 1mA, making battery operation for long periods quite feasible. However, I was forgetting that the quiescent current of the voltage regulator chip is around 3 or 4mA, making the average current consumption of the entire circuit somewhere in the region of between 4 and 5mA. Of course, this is still not a lot, but it does mean that my original plan to power it solely from a 9V battery was now on shaky ground. * With an approximate capacity of ~500mAH the average 9V battery would only last a few days. Zener diodes need a few mA flowing through them to get proper voltage regulation, so that wasn’t a practical alternative to get the current draw down. It would be possible to run the circuit from a lipoly battery with no regulator in-circuit, but the LM335 temperature sensor relies on a stable reference voltage if the calibration is to remain accurate. At this point, I decided to stick with the circuit as-is, and accept the current consumption. 5mA is definitely not high – it’s just that when your circuit only draws about 1mA on average, the 4mA required to regulate the voltage for it seems a bit out of proportion – and from the perspective of a QRPer, one thing I like about these micro-powered transmitters is the small amount of power they need to operate. * Dan M0UWT suggested that I look into a more modern voltage regulator, with very low quiescent current, such as the LP2950 series. These have quiescent currents of less than 100uA, making them ideal for an application like this. Thank you Dan. I’m not sure why it didn’t occur to me that less power hungry devices would be available now. I think it was the the fact that I already have a fairly good stock of 78L series devices in my parts drawers that was blinding my thinking! With this arrangement, I found that the adjustment on the 10K calibration pot was very critical. To help combat this, I measured the approximate resistance of the pot from one end to wiper when calibrated, and used this to estimate the range of adjustment I wanted to focus on. My final built version included an extra fixed resistor at each end of the potentiometer track, so that the entire range of trimpot adjustment was focused within a narrower range of voltage values. If you want, you could start with the values of fixed resistor that I used, only adjusting if necessary. A shot from directly above. Unlike with most of my previous Manhattan projects, I didn’t lacquer the board this time. I’m curious to see how it fares over time. Calibration is a simple matter of using a thermometer (digital or otherwise) of known reasonable accuracy, and adjusting the trimpot in this circuit until the readings match. I don’t have a thermometer, but I do have the thermocouple attachment that came with my DMM, and used that. I don’t know how accurate it is, but the readings seem pretty close. Quite honestly, I’m not really that interested in knowing the precise temperature anyway – it’s just a fun way to include some variable data in a beacon transmission. I had originally intended to mount this circuit in a weatherproof enclosure out on my balcony, so that learning the outside temperature would be just involve tuning a SW receiver to the right frequency. However, I decided to keep it as a circuit on a board, and just use it casually around the shack. It gave me ideas for my next project though – another HiFER beacon. Stay tuned for the details! 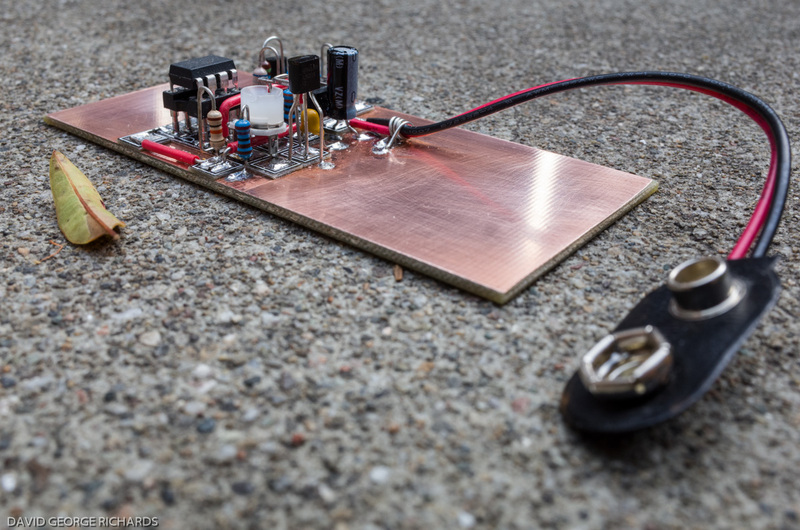 Posted in HiFer, homebrew radio, Part 15, QRP. Dave, as always another great build, and the video is just fine. Thanks! A fun project Dave. I agree that you need to keep builds small, about a day’s work. A rig then becomes a collection of module build efforts. There’s an analogy to sprints in agile software development methodology in there somewhere. A sprint of soldering and debugging gets a module working. On other matters, I like the way you drew the LM335, when I googled it, it turns out the three-legged diode symbol is used generally. On the 78L05 quiesent current, I am not a surface mount aficionado but I’ll bet there’s a tiny rice grain part that performs better than the venerable crusty old 78L series regulators. Most things modern are 3v3 now but the 5v legacy should deliver something. Enjoyed your post as always! WSPR for AA7EE next? –Paul VK3HN. I had seen that 3 legged diode symbol before Paul, but had to remind myself how to draw it, as it’s one I use very rarely. I’d use software to draw schematics, but it’s fun drawing them freehand on paper, even if they do come out a bit “wonky”! I already have an order in for some LP2950 low drop-out and low quiescent current (110uA) 5V regulators, at the suggestion of M0UWT. I’ve built kits with these parts before but, for some reason, have always stuck to the 78 and 78L regulators for my scratch-built projects. I’m a slow learner. Not sure why that is! WSPRing happens here from time to time. As with many things to do with radio, I enjoy setting these things up and getting them going, but the interest wanes a little and my mind moves to the next project, once something is working. It can be something of a curse! 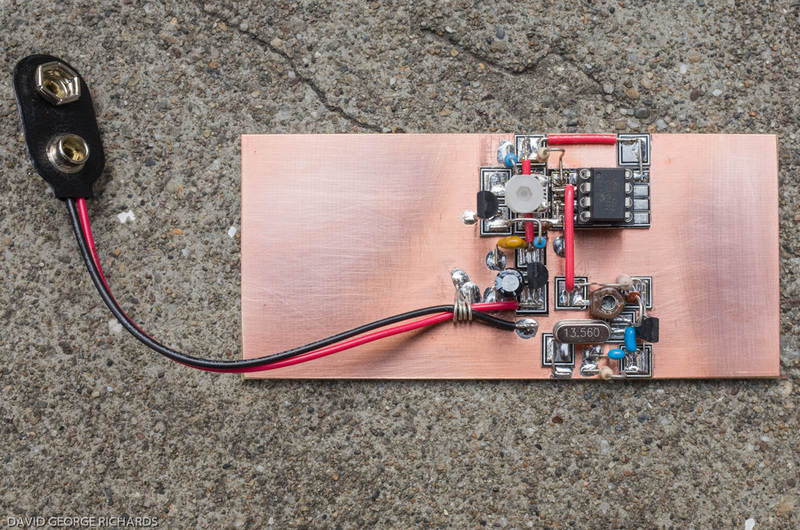 I happened across this project on Hackaday and was immediately attracted by the Manhattan style construction. 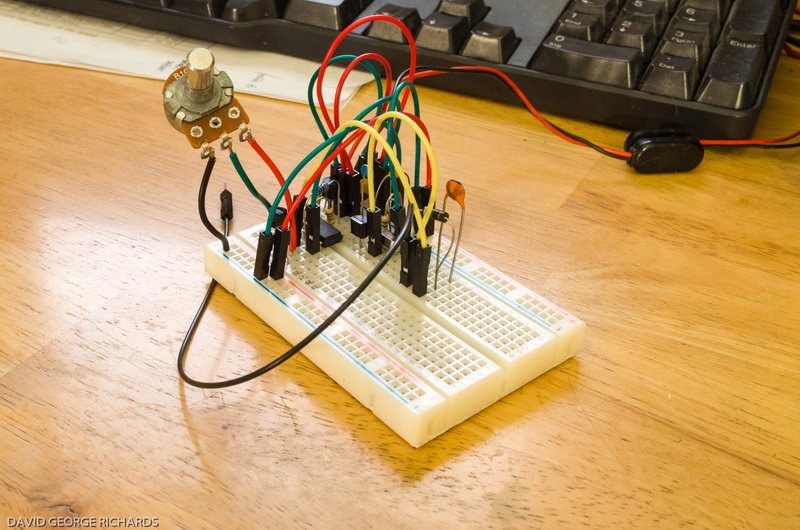 I’ve got a breadboarded project of my own that I’m about to rebuild using Manhattan style and have been looking for examples. Yours has given me some ideas and techniques that will be very useful in my own implementation, so thank you for posting this, and particularly for the photos from multiple angles. Whoops, sorry. I meant Dangerous Prototypes, not Hackaday. John – glad that the photos helped. My first attempts at Manhattan construction were a bit shaky, but some practice helped a lot. I’ve built quite a few things using this method of construction. If you want to see more pictures, a stroll back through the last few years in this blog should yield some more photos. Best of luck with your rebuild! I’ve been planning on doing this with your Sproutie beacon. Removing some of the jumpers for WPM and adding a temp/humidity sensor. I’ve got all the parts, just havn’t built it yet. Let me know if you ever do. Dayne. I’ll be interested to know how it works out – and to learn details too! Nevermind, looking further on your page I discovered the “MeSquares” and “MePads” from qrpme. Good stuff, those are exactly what I was hoping that someone had already made for me! Ooops – typed this before noticing that you had found out what they are. Will post anyway! All this reminds me that it’s nearly time for me to order some more!